Attention Universities and Colleges! It’s time to implement dental sleep medicine into your educational programs for dental students. We know students typically spend eight years in college preparing for clinical practice. But, when do these students learn about advanced areas in sleep apnea and craniofacial pain? Not until after graduation. With a growing need for these services in dental practices, why isn’t your University or College incorporating more hours on these topics? According to the Commission on Dental Accreditation (CODA), it is important to follow certain guidelines for appropriate education, and that includes sleep apnea and craniofacial pain. According to a study of medical schools by Rutgers, an average of less than two hours of total teaching time is allocated to sleep and sleep disorders. To add to that, 37 schools reported no structured teaching time in this area. Only 8% of medical students trained in the use of sleep laboratory procedures and 11% have participated in the clinical evaluation of sleep-disordered patients—these numbers are far too low and something needs to be done. Dental students are only spending 2.65 hours on sleep apnea. When asked to identify common signs and symptoms of sleep apnea, 58% of general dentists said they couldn’t identify any. Only about 16% of dentists said they were taught about this issue in dental school and 40% knew little to nothing about sleep apnea treatment for patients. However, 30% did indicate they learned from postgraduate training. This data shows us that schools are missing the necessary resources to support sleep apnea and craniofacial pain courses. This shows how important it is for our students to understand more than just the basic general dentistry topics. There will be many times in which these dental students will enter a practice and be confronted with sleep apnea or craniofacial pain issues. And, if they don’t know what to do, the patient loses out on optimal care—this is where education needs to step in. Lastly, the CODA mentions a need to stay up-to-date with health care and the changing demographics—these are driving a new vision of the health care workforce. Dental curricula can change to develop a new type of dentist, providing opportunities early in their educational experiences to engage allied colleagues and other oral health care professionals, such as dental sleep medicine and craniofacial pain specialists—it’s a growing area of advanced dentistry. We’ve already begun to see the benefits of implementation from a few schools. 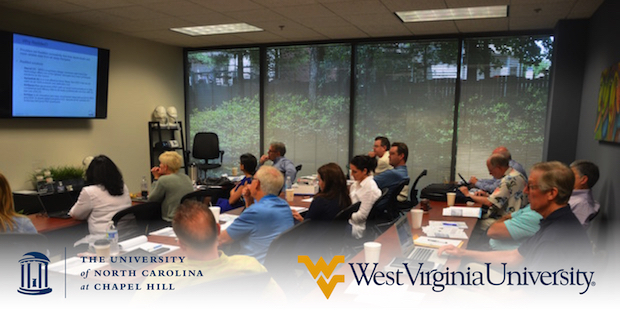 One school we have worked closely with for implementing such courses is West Virginia University. Beginning in the first year of dental school, Dean Borgia ensures students at WVU can start receiving classes in dental sleep medicine (DSM). To help keep students informed, we have joined forces with WVU to provide appropriate courses on DSM and other areas. We have also completed a sleep mini residency for graduated dentists with the University of North Carolina, and in discussion with other Universities. We are able to assist your school and faculty in bringing such education into your dental curriculum as we have done so at WVU. We have several models that could be incorporated to allow a smooth experience without carving away any addition time for such education. Now is the time to begin implementing programs for educating your students on areas of sleep apnea and craniofacial pain. Providing classes in dental sleep medicine at our Universities and Colleges should be a requirement for all dental schools. 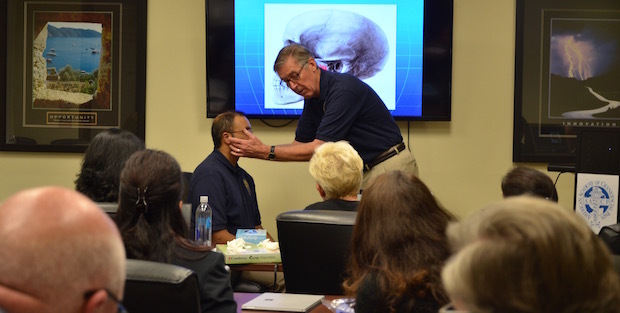 I am glad West Virginia University’s School of Dentistry Dean has taken that next step in providing classes at each phase of learning—your University or College can, too. According to the Commission on Dental Accreditation (CODA), students participating in a residency in pain should have so much exposure in sleep. Current accreditation standards of the CODA include a variety guidelines for schools to follow. One specific guideline regarding craniofacial pain requires the presence of sleep disorder information. The CODA says, “exposure to Oral and Maxillofacial Surgery, Pediatric Dentistry, Plastic and Craniofacial Surgery, Sleep Disorders, Genetics, and Speech Language Pathology are necessary for additional exposure to management of Craniofacial Anomalies and Special Care (CFA&SC). Contact me to learn more about how we can help you provide the necessary education for your students in areas of sleep apnea and/or craniofacial pain. You will be setting your students for success outside of school, and providing them an area of dentistry that would make them more marketable and also allow them to be part of integrating with our medical colleagues in assisting with identifying and managing such patients.